You can not downgrade from baseband 06.15 (the iPad baseband), and you will no longer be able to restore to stock firmware. This means you will forever need to use your custom saved IPSW files! It is important that you understand and accept these risks before proceeding. If using PwnageTool to create a new custom IPSW, use the aforementioned IPSW download (yes its for iPad). The process of jailbreaking and unlocking iPhones usually sounds more confusing than it is, just follow instructions carefully. The main problem with this unlock method is that certain baseband versions require the use of an iPad baseband which can not be reversed, this marks your iPhone in an obvious manner to Apple and this is why it voids your warranty with them. Jailbreaking is not illegal but it is frowned upon by Apple, however the difference between a standard jailbreak and this particular unlock is that jailbreaking is reversible, and this unlock is permanent. Update 2: The redsn0w 0.9.6b5 download is now available for Windows and Mac, it’s an easier method to perform the jailbreak and unlock for many. Im using winwar and vista. There is no place to run as admin. Can anyone help?!?! What if I already jailbroken with limera and have cydia on my iphone? I have iphone 3gs BB 05.14.02 what should I do? If you just want to jailbreak your iPhone then you can upgrade to 4.2.1 and then use PwnageTool (without iPad part) to jailbreak 4.2.1 no problem. The iPad part only matters if you are on 5.14 and you want to unlock. yes all you need to do is go to cydia, go to manage, go to edit then add, then type this in : repo666.ultrasn0w.com then click the app and click install. I have iphone 3gs firmware 3.1.3 with baseband 5.12. This thing describes that it can unlock 3gs operating 4.1.2 with baseband 5.12. The confusing thing to me is, it says “If you have older baseband, you can go straight to using ultrasn0w. You can update to iOS 4.2.1 from iTunes but this will update your baseband and require the use of the iPad firmware.” <– this would mean that i would be get stock 4.2.1 from itunes which will upgrade to a higher baseband and then have to upgrade to 6.15 right? If thats the case i understand the rest. But i do not want to update baseband. How do i install 4.2.1 into my iphone without it affecting my baseband so can be like in the description " it works to unlock iPhone 3GS and iPhone 3G running iOS 4.2.1 on basebands 04.26.08, 05.11.07, 05.12.01, 05.13.04"
I dont understand how to get 4.2.1 installed without it updating the baseband. Then u can search for custom 4.2.1 ipsw file on google for unlocked phone. You will also find guides to do that. Am a little confused, my baseband is 5.14.02. Can I use this method to unlock the phone by first doing the jailbreak over again? since I used redsnow to do the jailbreak the last time. I tried installing the ultrasnow 1.2 but it hangs the phone in its current state. Thanks alot..
Do you already have an unlock? If you dont have an unlock, just restore your iPhone from iTunes to undo the jailbreak, then proceed as usual with Pwnage (redsn0w is easier IMO). Thanks for your help. Did a restore with Itunes and then the jailbreak all over again but this time flashed the baseband. after installing Ultrasn0w it picked up the network like magic. Hope I don’t regret upgrading to the Ipad baseband…. Much appreciated. Something tells me I have to select “Ipad” instead of “Iphone 3g” Right? No, you select your standard iOS device (say, an iPhone) and then the next step will ask if you want to use the iPad firmware. Remember, using iPad baseband on the iPhone is irreversible, so do so at your own risk. i tried to use the ipad ipsw and my iphone doesnt reboot it just stops and doesnt jailbreak. I am using redsn0w. Can you help? Yeah, im sure! I tried to unplug than plug the USB but still doesnt works! What about now? hej, i have iPhone 3G iOS 4.1 (BB 05.14.02) should i upgrade to iOS 4.2 from iTunes and when i use redsn0W should i poin to IPSW for iPAD? can you please write stp by step guide HOW TO DO! Thanks! Jailbreak with iPhone ipsw and redsn0w fetches iPad baseband for you nothing to do with your end. Iphone 3G , but now I want add soft new can not install. alright. i understand the consequence now. i’m diving in to update the iphone 3g baseband to 06.15.00. no matter what happens afterward, i will remember the happiness when using the old baseband and old ipsw. Hi, I’m trying to unlock my iPhone 3G 4.2.1 using redsn0w 0.9.6b4 and everything looked smooth. I was able to jailbreak sucessfully and then followed the instructions given here to unlock using ultrasn0w that is download the ultrasn0w 1.2 and install using cydia on my iPhone. The article says once the ultrasn0w installation is complete, iPhone will be automatically unlocked. But I’m not sure if my phone is indeed unlocked. I’m saying this because after putting a different AT&T SIM (pre-paid) in my iPhone, I dont see ATT displayed on my phone nor I’m able to make any calls. Some one please help….Thanks much in advance. Your iPhone is unlocked. I have prepaid AT&T Sim and it doesn’t work on mine either. When I put prepaid Tmobile, it worked like a charm. I tried putting in my prepaid Tmobile sim and it didn’t work. Is there anything I can do or is my phone a dud now? Have a 3G running baseband 04.26.08 what’s the crack with unlocking that? =s it only talks of higher basebands. Want it in 4.2 if possible? Need help!!! My redsnow is stuck at waiting for reboot. Im having 3G with bb 05.15… What should I do? I’m having the same issue as well; just sits at the “waiting for reboot” part. Anyone know what’s going on and anyway to work around it? right click, and select properties, then select the ‘compatibilty’ tab, and click run as ‘service pack sp3 windows xp’ (or something like that’, then at the bottom tick the box beside run as adminstrator. Hope it helps, works for most. Works Perfect ….Only issue if we restart the IPhone….Rest all perfect…. Hey, after unlocking my iphone 3G with “Enable Multitasking” option checked in redsn0w, I see the phone perfomance in terms of speed has gone drastically low. Has anyone encountered this and if yes. is there a fix…Appreciate your help. install it again.. and uncheck the multitasking.. its work better like mine.. I have this little problem i use pwnagetool and i finally get the unlock with cydia/ ultrasnow, but my Iphone 3G i can use a wallpaper, i just have this black background i try using winterboard and nothing, and i can see the bar i used to have for the respring, wi-fi, 3g, etc. bar that came with the jailbreak… oh! and i have no multitasking. It’s great that i can finally have mi iphone working as a phone back but, i miss the multasking, the option bar and the colorfull background. Sorry for my english and please help me… do you think if i re-made the process with redsnow would work?? I have Iphone 3GS with version 4.1 and 05.14.02 modem firmware. it’s been jailbroken by ultrasnow and how can i unlock it please? I’ve just completed the upgrade. The phone was carrier locked to atandt, I live in the UK so I had no other option but to try. Thx to all those involved!! I have IOS 4.1 jaiibroken with Pwanage . The BB is 5.14.02. As the phone is already jailbroken, Now to unlock this BB, I have to install the cooked ipad firmware over this IOS and then run ultrasnow? There are reports everywhere that various antennas on the 3G and 3GS no longer work after the 4.2.1 update. This goes for both unlocked and legit iPhones. Someone plz confirm this…cuz my jailbroken and unlocked 3GS’ Bluetooth, texting and GPS are all out of whack! hi, after i unlocked my 3gs iphone i have problem with my gps – it can’t connect to any satelite and another problem is that the battery is going empty very fast. has some encountered this problem? 2) download recboot (www.mediafire.com/?nn1kzmmwkjg) & unzip it, install setup file libusb-win32-filter-bin-0.1.12.2.exe (Win7 rgt-click properties-run as admin and winxp sp3 compatibility mode). I tried doing the recboot and it did not work. I would get into recovery mode and install the libusb-win32-filter-bin-0.1.12.2.exe but when i tried to open exit.bat it would never pop up or do anything. Any suggestions? I am getting the message connect to iTunes and nothing is happening. Neither it is restoring and this not happens.. I am a MAC user! GUIDE.. I dont ant to throw this in rubbish bin.. using like iPOD with 4.1 was better..
im on 4.1 BB 05.14. but without a unlock, though i need one. Correct me if i am not right. I download the iPad 3.2.2 IPSW, select the ipad in pwnagetool, create a custom ipad firmware and try to restore in itunes? This doesnt work for me at all. Probably I am wrong though. Which FW needs to be on the phone to unlock&jailbreak and which fw do I need to use in pwnagetool? It is un locked and jail broken by someone else. I am not sure with what. To start do I install the 4.2.1 update from iTunes first? I have a 3G locked iphone with 04.26.08 baseband on version 3.1.2. I would like to upgrade to 4.2.1, and since dev-team said I shouldn’t upgrade to the iPad baseband, my only option is to use a custom ipsw file (which is already jailbreaked), and then simply install ultrasn0w. I have the iphone 3g, I am currently running on 3.1.3 with 5.13.04. I am unlocked, because I am using TMobile on the phone. I want to upgrade through itunes to 4.2. Can I follow all of the simple instructions to unlock again after I upgrade to 4.2? I currently have Cydia installed on my phone. Read the comments here too, there are various options depending on if you are using a Mac or PC. I unlocked my Iphone 3G on the 4.2.1 software and then made the mistake oftrying to restore it. Now i am stuck in recovery mode. Is there any way to get out of recovery mode?! go to place whr wi fi is availbl and install ultrasn0w..
Hey,i got a little question here..my iphone is 3gs BB 04.26.08 and it has been jailbroken and unlocked..i want to update it to OS 4.1 from OS 3.0…can i just simply update it with iTunes? ?will it come to the “emergency call” mode when the phone has been updated? ?because i don’t have the phone carrier sim card..
please i need your advise.. I have jailbreak my 3g iphone 4.2.1 firmware 05.15.04 and have tried to unlock but when I insert any SIM card it just continue to search. I did install ultrasn0w. What else do I need to do for the phone to unlock. Hi all, i have iPhone 3G, 4.2.1 and baseband 06.15.04. I have jailbreak successfully using redsn0w 0.9.6.b4 and installed cydia also. Now, how can i unlock my iphone. Now working perfectly in vodafone but need to unlock. Anyone Help pls?? Um, yesterday, i successfully unlocked my iPhone. But when i put on new carrier’s chip it, my phone keeps saying i have no service. Can someone please tell me why is that? And how do i fix it? i have updated my iphone 3g to 4.2.1 nd using 05.15 basebands nd its jailbroken by red snow but i am unable to unlock it…..please help…..??? hi, I can go into DFU mode using ipad ipsw, but the only option is install Cydia, no option for modem. Any suggestion? I have G3 with upgraded ios4.2, need to unlock. I REALLY screwed up. I have an iPhone 3G and I recently updated it to ios 4.2.1 and then went through the redsn0w mac_0.9.6b6 jailbreak and then the ultrasn0w 1.2 unlock. I DID upgrade to the new bandwidth. Somewhere along the way I lost the phone icon on the Springboard. I decided that it would be easier to start with a clean slate and reload the firmware so I could try again… bad idea! Now I have an iphone that always shows the hook up to iTunes icon and I have tried to reload using iTunes and redsn0w to no avail. Did I fry my phone? I have got a iPhone 3G 4.2.1 baseband 5.15 which I have Jailbroken with redsn0w 0.9.6b5. I have had to manually download the ipad baseband 3.2.2 and select it as Redsnow won’t automatically download it as stated in the instructions. I have followed the instructions but I can’t get it to install iPad baseband 3.2.2. Whenever I try Redsnow stops at “Please wait while your device is being processed.” The phone then powers on and I’m still left with baseband 5.15. Hi, I bought iPhone 4 IOS 4.2.1. from USA. I found phone is lock and can not use in Singpaore. How to unlock and who can unlock. Anyone one help me on this? iPhone 4 doesn’t have a reliable untethered jailbreak yet. One is very close to being released though. I haven’t heard much about unlocking the iPhone 4 unfortunately. So I have a 3GS on the 4.2.1 system that is jailbroken and unlocked with ultra snOw in cydia but it says no sim whenever I put my tmobile sim card in. Help? I have upgraded my iphone 3GS to 4.2.1 and baseband 06.15 and have successfully unlocked it. I want to know if its safe to sync my phone with iTunes. I just want to ensure that itunes will not undo my unlock. Im having the same exact problem!!! help please!!!!!! Hook it up through itunes and do another restore on it, thats what the itune symbol means. I did the unlock with redsn0w and choose without the ipad radio and then did it again with the ipad radio… everything seems to go smooth. BUT, as soon as it finishes and boots.. It boots into recovery! No matter what.. it boots inot recovery everytime I redo the phone with redsnow. I hae a 3gs that i wish to unlock i am using 4.2.1 OS and have bb 05.15.04.
can anyone point me the right direction i have tried cydia and ultrasnow but it just says searching for network. My phone is out of warranty as it is over 1 year old. i followed the instructions and even watched a video with the same instructions, and something is not functioning…i have 3g vers 4.2.1, baseband 5.15.04. i was able to install cydia but the baseband remained 5.15.04. i was using pwnage and kept getting an error message when i tried to add ipad 3.2.2 to pwnage: firmware bundle is unrecognizable, something to that extent. what can i do, what am i doing wrong? please help as i am in germany and desperate. I’m having exactly the same issue. Help! Not Woking do U have atheone? hello, i am new to jailbreak/unlock for iPhone. I have iPhone 3G and i am currently contract with AT&T but i want to jailbreak my iphone 3G only and unlock it later in the future for overseas use. my 3G is the latest firmware i updated from iTunes is 4.2.1 modem firmware is 05.15.04. can anyone help how do i jailbreak my 3G iphone but without upgrade to iPad firmware? and which software i need to download is it the redsnow, ultrasnow or pwnetool using windows? and once i download one of them do i need to download the firmware as well? thank you please help step by step the easy way and for dummies like me, thank you. what the the benefits of unlocking my phone? My iPhone 3GS is running on iOS 4.2.1 BaseBand 05.15.04. Is there ANY way to unlock it for any service carrier without changing the BaseBand to the iPad’s? What would happen if I update to version 4.3? I have a 3G iphone running 4.2.1 with 05.15.04 firmware that I have jailbroken and am trying to unlock. I tried the ultrasnow, to no avail, but just read here that it might be because of my firmware. Any idea how to unlock it? Also, it says above that I will forever need my custom saved IPSW files if I do this… how do I save these? Is this a bad idea? I really just want to use another carrier… any recommendations? Since no one here actually seems to care about the people who ask questions, allow me to answer your question. There is no unlock for you iphone, why? Like you pointed out: because of your firmware baseband. Why? Sorry, dont know the answer for that one. It seems it would have some special attribute which no one has been able to crack yet, so sorry. On the other hand, there is a method of sorts. This would involve changing the iphone’s firmware baseband for that one of the ipad. This means that if and whenever you hook your iphone to itunes it will think its an ipad. That means you CANNOT restore your iphone if anything goes wrong, which means you loose your iphone for good. Also, should it happen to work, you might loose several functions, including the GPS (maps app), or you might not, just like you might. Personally I have not used this method, I have no intention nor desire to try it and I advice against it, just how I was advised against it myself. Hope that helps, or at least answers your question. I may have missed other comments, but I just got my phone working and need to put this story out here. – Use PwnageTool 4.2 to build a custom image of 4.2.1, but the trick is, uncheck everything in the General preferences. Yes, uncheck the Activate box. If you’re unlocking, you don’t want this. I didn’t need to use PwnageTool to put the phone into DFU for me, but I don’t think it matters if you do. – When it reboots, set up the iphone as a brand new device, don’t recover from a backup. – In Settings/Network, disable 3g AND cell data. – Connect to a wifi network and run Cydia. – Take out SIM during reboot, and plug it in when it’s done. – You should get a pop-up saying activation complete. I hope this saves someone else the hours I’ll never get back failing at this, lol! Everything worked fine, iphone 3G fw 4.2.1 bb 6.15 english phone. 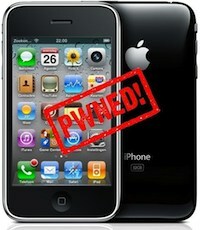 I have a iPhone 3G which is unlocked & jaibroken (Using Ultrasn0w & Cydia). My iOS version is 4.0.1 & baseband is 05.13.04. How do I upgrade my iOS version to the latest 4.2.1 & still retain the unlock. Please help by providing detailed steps (or) provide me the link where I can find the details. Sorry to ask a stupid question; have backed up my iPhone and about to attempt unlocking my 3G iPhone – will this process delete all my data e.g., contacts etc? Just a bit confused as to whether using this iPad firmware, I will be able to restore these contacts etc to my iPhone after unlocking? Just not understanding ‘custom ISPW files’ and ‘will not be able to restore stock firmware’. Thanks. had jailbroken mine but when i install ultrasnow for unlock its stuck on apple logo and even resetting same happen, stuck on apple logo. please help!! I had an already jailbroken and unlocked iphone 3G with ios 4.2.1 and firmware 6.15.00. I went to cydia to try to load a push notification program and accepted updates it suggested. Now my sim isn’t recognized. It unlocked my phone! What can I do? Sorry, meant it LOCKED my phone! will syncing and and erasing all the data unjailbreak it? if it does what do i do? I have a unlock iPhone 3GS and I cnt send and receive picture mail. Please help me… How can I get faster Internet speed? You can get faster internet speeds by using a faster network. The instructions confuse me…it says “newly created ispw” when using Pwnage…what is the newly created ispw? redsn0w crashes everytime it goes to load ipad ipsw??? You are probably using the wrong IPSW or the improper version of the app for your iOS version. Use newer software appropriate for your device. hey guys.. how about if my iPhone 3g has already jailbroken and i want to get it back to normal can i restore it in iTunes??? Yes. Just click restore and when then choose fresh/new iphone. Hi, i have jailbreak 3g for 4.2.1 bb 5.13.04 using redsn0w and it works great but have problem with carrier. i have installed ultrasn0w but still cannot recognized my sim. the same sim when i used 3.1.3 i dont’ really remember coz i just decided to click update on itunes and turns out everything is lost. everything works perfectly except the carrier. i tried to update the baseband using redsn0w. but redsn0w just exit out when i checked the bb and trying to reboot. but it exit leaving my iphone unable to switch on. so i do it again without bb checked but i still have no network list. please can you help? Hi, I have an iPhone 3g 8GB with 4.2.1 and 06.15.00 bb and it is not JB. Can I JB it and then unlock my phone to read the SIM(carrier) ? I have 4.2.1 and 06.15.00 on my iPhone 3G, and I inserted my T-mobile SIM card, and the SIM is not recognized. No, I never got my iPhone working. I have two T-mobile SIM cards – one for prepaid phone only and one for the unlimited 4G service for my smartphone. Okay, I got my iPhone 3G working enough to make phone calls. I re-installed ultrasn0w via Cydia. Re-booted and put in my T-mobile SIM which was then recognized. However, I can’t get the internet portion to work. The iPhone should be able to work on T-mobile’s EDGE network which is much slower than 3G, but no internet. i have iphone 3g wtih 4.2.1. any gsm sim couldn’t be call out going except aircel gsm sim. what the problem??????? I have 3G 4.2.1 and modem firmware 5.15.04 I tried upgrading to ipad baseband and not everything seemed to go well but where can I check to see if my baseband is upgraded to ipad? thanks a lot.. now I can use my Iphone..after unlock by ultrasn0w..
actually I almost give up when try to unlock my 3g by using yellowsn0w.. But i want to update 4.2.1.At first i update then unlock it is ok?how can i understand baseband number.please help me.